Did You Know Bryan Cranston Went on a USO Tour in Europe? You Do Now. 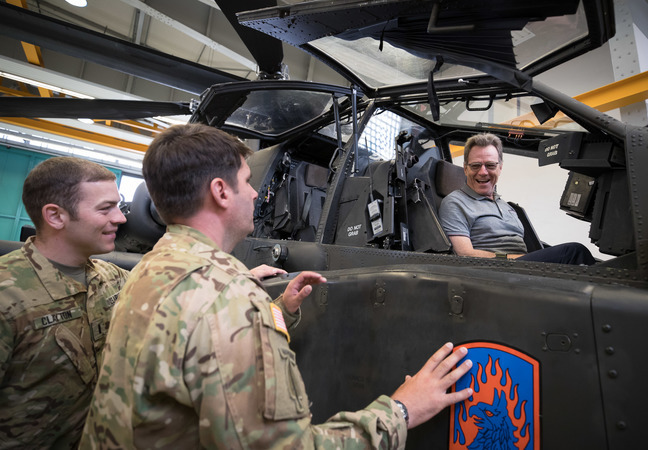 New York Times best-selling author and award-winning actor, screenwriter, director and producer Bryan Cranston spent a week visiting with service men and women and bringing his New York Times best-selling memoir, “A Life in Parts,” to life in an intimate theater show at bases across Europe. 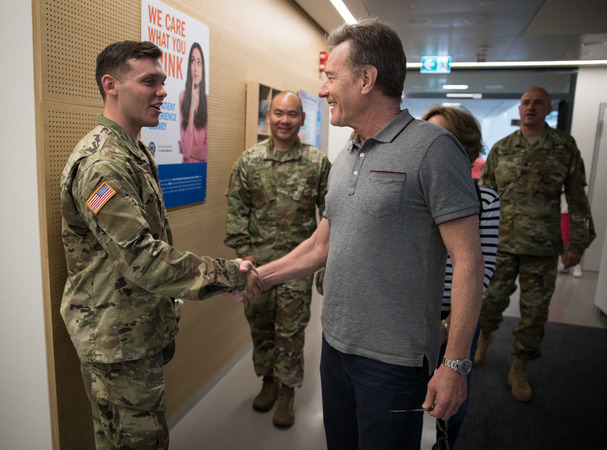 Thousands of service members and military family members turned out to meet Bryan Cranston, an award-winning actor, screenwriter, director and producer who brought his best-selling “A Life in Parts” memoir to life in an intimate theater show during a USO tour across Europe. 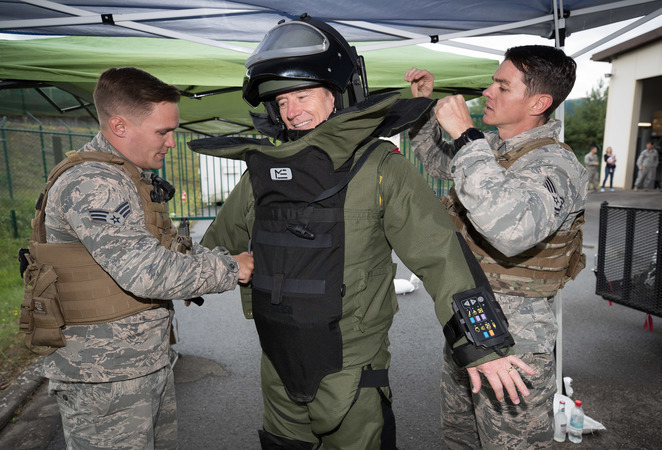 As part of his USO activities on the ground, Cranston – best known for his role as Walter White in the award-winning drama “Breaking Bad” – greeted military medical staff, toured a flight line, visited a working dog unit, participated in a military theater group discussion and ventured inside military aircrafts. 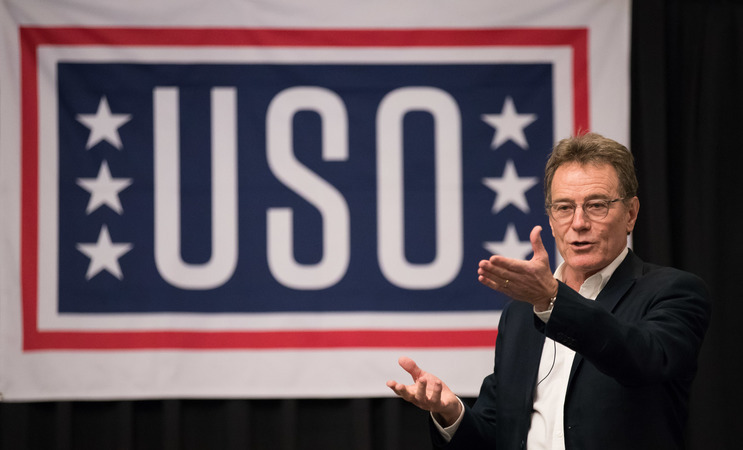 In addition, Cranston participated in a rousing question-and-answer session with service members and military families and shared insights on what led him to acting and his various roles throughout his illustrious career. 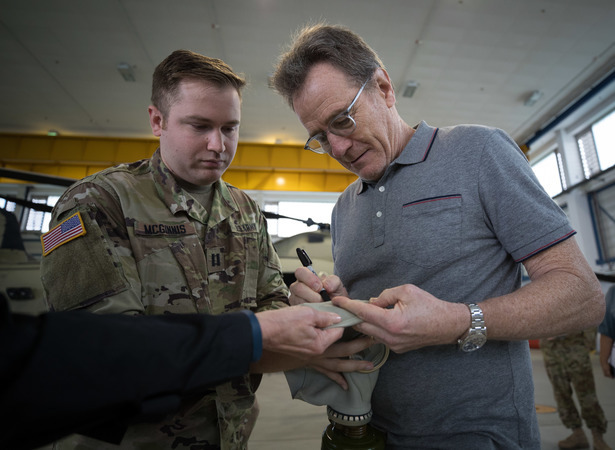 Cranston, an Academy Award nominee who has four Emmys, a Golden Globe and a Tony Award to his credit, is also no stranger to America’s armed forces. His father, a former Navy pilot, and his mother, who served in the Coast Guard, both served during World War II. 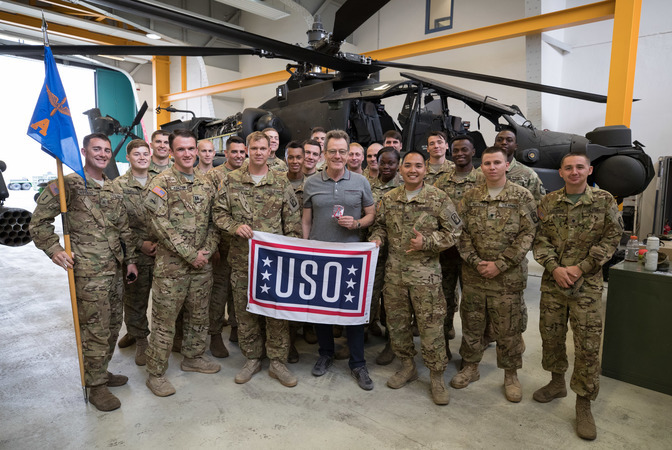 As part of his USO tour, Cranston visited U.S. Army Garrison Ansbach and Ramstein Air Base in Germany before traveling to U.S. Army Garrison Wiesbaden in Germany, as well as Royal Air Force Alconbury, Royal Air Force Mildenhall and Royal Air Force Lakenheath, all in the United Kingdom.